Multi-award winning Gospel artist Ivan Parker will be in concert at 7 p.m. Friday, April 13, at Berean Baptist Church, 5526 Winchester Ave., Sciotoville. Parker has taken the country by storm with numerous appearances on national television, and guest appearances on the Bill and Gloria Gaither Homecoming video series. He was lead vocalist for the Gold City quartet. 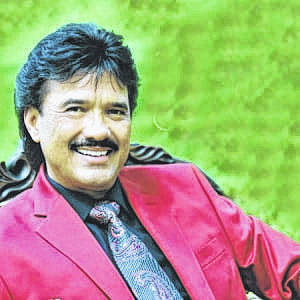 He is a veteran in the Gospel music industry, has been voted Favorite Male Vocalist 12 times, Favorite Lead Vocalist six times and was awarded Soloist of the Year 14 times, all by the Singing News Fan Awards. He has also been nominated for the prestigious Dove Award. The concert is sponsored by the New Life Teens. Tickets may be purchased at the church or at Praises Bookstore in New Boston. Tickets are $5 in advance and $10 at the door. Children under the age of 5 are free. Call 740-776-2277.